More than 1,000 property owners in New Zealand are getting their day in court as a $250 million ($176 million USD) class action suit moves forward against international building products manufacturer James Hardie. The plaintiffs allege that the Dublin, Ireland-based company and its subsidiaries made plaster cladding products that failed, causing them financial losses and significant health issues. 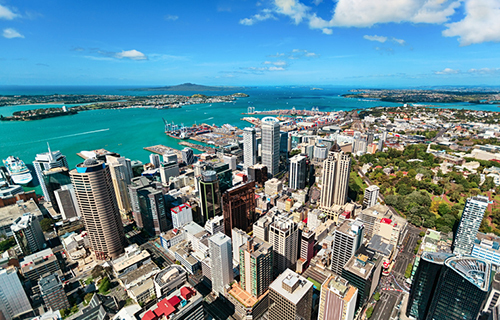 Interlocutory applications in the High Court case began Monday (Nov. 21) in Auckland, according to the New Zealand Herald and other reports. The class action suit was filed in December 2015. The plaintiffs say that the flawed cladding and resulting leaks have cost them hundreds of thousands in repairs, caused health issues, and reduced the market value of their homes. The materials named in the suit were marketed as Harditex, Monotek and Titanboard and were “systematically flawed,” according to the plaintiffs’ attorneys from Adina Thorn Lawyers. The case involves 365 buildings, mostly residential, including multi-family, that were built between 1983 and 2010, according to reports, citing case documents. The 1,100 plaintiffs in the case have alleged that the company was negligent in “its design, development, manufacture, promotion and supply” of the plaster cladding products and that the company breached the Consumer Guarantees Act and Fair Trading Act. Further, the plaintiffs say the company failed to act swiftly in pulling the products from the market when it first realized there were problems. The plaintiffs say that the failed cladding and resulting leaks have cost them hundreds of thousands in repairs, caused health issues, and reduced the market value of their homes. Property owners Tracey Cridge and Mark Unwin were the first to lodge a claim against James Hardie. The Wellington, New Zealand couple told The Herald last year that they had hired an expert to take a look at a small leak; instead, he discovered widespread internal water damage that cost them $200,000 in repairs. Homeowners Ray and Marilyn Richards told the news bureau that their home sold for $350,000 below market value due to problems with the splitting cladding. The companies named in the lawsuit include the New Zealand manufacturers James Hardie NZ (from 1998) and Studrop Ltd. (prior to 1998); their parent companies James Hardie NZ Holdings and RCI Holdings Pty Limited., respectively; and ultimate parent company James Hardie Industries plc. 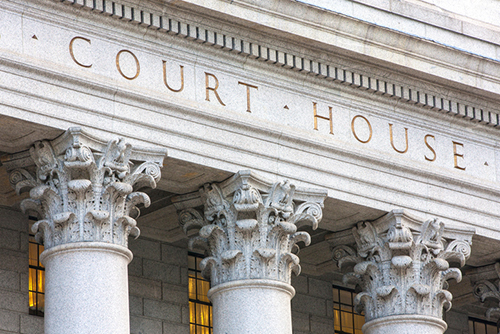 Reports say attorneys representing James Hardie have filed for summary judgment to remove two of the named defendants, arguing that they were simply “holding companies” in New Zealand and Australia, holding shares in the operational units. The plaintiffs’ attorney, Mark O’Brien, has opposed, telling the court that the holdings companies should remain in the case because the products were developed by James Hardie, not the subsidiaries. Moreover, O’Brien said the alleged lack of proper testing of the product lies with the overall group. “They shared common directors, some of whom were also group executives, and they share knowledge,” he told The Herald. A representative from James Hardie group of companies did not respond Monday to a request for comment on the litigation. The parent company manufactures and sells fibre cement siding and backerboard in the U.S., Australia, New Zealand, the Philippines, Europe and Canada. James Hardie employs approximately 3,257 people and generated net sales of $1.73 billion in its fiscal year 2016. James Hardie Industries plc has also reportedly filed opposition to the New Zealand High Court jurisdiction and is seeking further details of the plaintiffs’ claims against them. The United Kingdom-based Harbour Litigation Funding, one of the world's largest funders of class actions, is reportedly funding the case. “As this action is funded by a litigation funder, owners who have suffered losses can be part of a well-resourced claim without facing any out-of-pocket expenses, while gaining the opportunity to share in any compensation and damages that are awarded at the end of the process,” attorney Adina Thorn told Stuff. Not heard of a ' ligation funder ' in the US. Seems like in the US it is all self-funded. So much of this type of nonsense litigation in the US,that they can acquire serious resources for their pursuits. There's very little in the way of self funded civil litigation here in the US outside of small claims court and corporate law. Lawyers don't like self funded suits. The lawyer(s) and law firms typically finance the cases themselves and the effective interest rate is astronomically high.